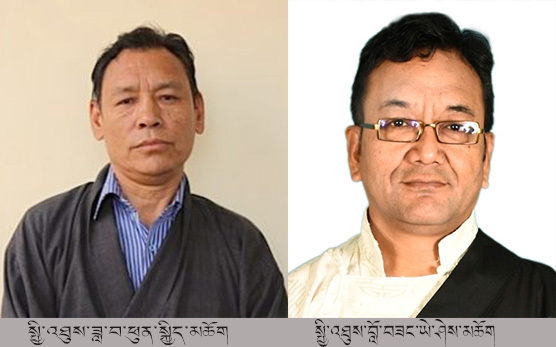 Tibetan Parliamentarians Dawa Phunkyi and Lobsang Yeshi to visit Tibetan communities and institutions in Dharamsala. Dharmshala: As per the 16th Tibetan Parliament-in-exile’s Tibetan settlements visitation/assessment program, Parliamentarians Dawa Phunkyi and Lobsang Yeshi will be visiting Tibetan communities and institutions in and around Dharamsala from November 22nd to 27th, 2018. They will begin their tour from Gyuto monastery on 22nd November, followed by visiting program to TCV Gopalpur, TCV Lower, Mewoen Tsuglak Peteon School, Sherab Gatsel Lobling School, Norbulingka Institute of preserving Art and Culture, Upper TCV, The Tibetan Institute of Performing Arts (TIPA) and Tibetan Medical & Astro. Institute.